And that is what made me saddest of all. Because my parents couldn't see that it didn't matter. All those diplomas, all those degrees. 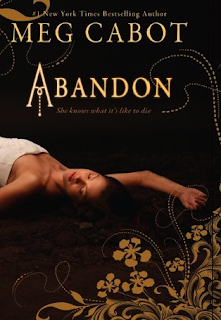 Source: Info in the About Abandon was taken from GoodReads at http://www.goodreads.com/book/show/9397967-abandon on 01/01/2013. Oooo very telling teaser. I like it.